Three years ago, the very idea of Nintendo creating an experience solely targeted at smartphone users seemed like an outlier, bizarro-world possibility. Today, Nintendo released Miitomo in Japan for iOS and Android devices. Here’s what it looks like. Miitomo’s debut is only limited to Japanese storefronts right now, meaning that you’ll need a Japanese iTunes Store or Google Play account to download the free game. I downloaded Miitomo for iOS late Wednesday night and took the app for a spin. 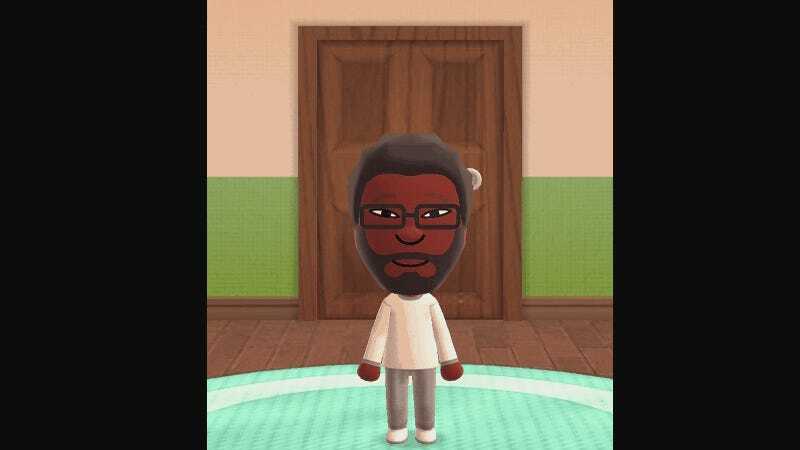 As on the 3DS portables, Miitomo uses a smartphone’s front-facing camera to auto-generate faces for your Mii. After filling out basic profile information, your Mii will ask you questions about yourself. This information forms the basis of a quiz that friends can take to earn points. Completing missions earns reward points that you can use in the shop or to play the Miitomo Drop minigame. Miitomo Drop is a hybrid of pinball and arcade claw machines that has players bouncing their Miis around a board to win prizes. You can buy in-game currency with real-world cash, too. And if you want to use English cursewords to greet the people you meet in Miitomo, as of right now, you can still do that. Based on some of the rewards and timed missions/activities that are available, Miitomo definitely feels like it’s taking cues from social network games that want players to check in daily. Miitomo is supposed to launch worldwide this month, but there’s no word of exact dates for other countries yet. We’ll have more on Miitomo on Kotaku soon.